Look. Let’s just be real. It’s easy to be a Christian in church for 2 hours a Sunday – right? Oh sure, some places Liturgy is only an hour and a half – others longer – who knows, you may show up late … Less time being “Christian” is even easier, n’cest pas? 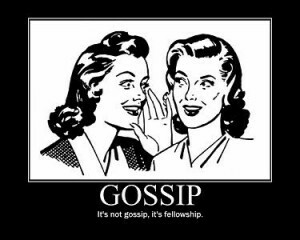 And gossip … well, that’s not so easy in the church (but it can be done). Gossip is best served up in the Hall, after the service. But everyone can agree: It’s pretty easy to be good in church. Take for instance Molly. Molly is a relatively new convert to Orthodox Christianity; she’s a student, struggling to make her way in the world. She loves the Liturgy. During the Liturgy, Hank doesn’t move – head inclined toward his heart, eyes shut, prayer rope slowly slipping through the fingers of his left hand. The hair, the beard, the black pants and shirt. He’s got the look.